Liam Neeson's new movie sounds a lot like "Taken"
Twitter brings the ‘Taken’ jokes after Liam Neeson’s new movie combines revenge with … snow plows? 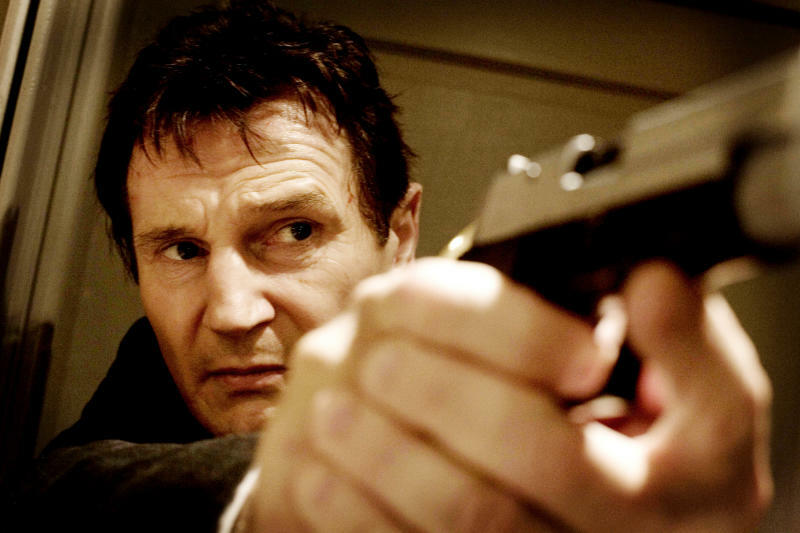 If you can believe it, it’s been 10 years since Liam Neeson was reborn as an action star in Taken. The movie featured Neeson as an ex-CIA agent seeking revenge on his daughter’s kidnappers. It led to two popular sequels, but last year he said he was retiring from action movies. That may have been premature. In 2019, audiences can see Neeson in Hard Powder, where he plays a snowplow driver turned revenge-fueled killer after his son is murdered. So, Taken in the snow, right? The familiar territory of Hard Powder and its kooky premise — really? snowplow driver? — led the internet to poke fun at Neeson’s expense. Liam Neeson on a bus! Liam Neeson in an Uber! Liam Neeson on a parade float! And in the ongoing saga of The Simpsons predicting every pop culture event — remember in 2000 when they imagined a Trump presidency? — one fan compared Hard Powder to an old Simpsons episode. He’s likely referring to the “Mr. Plow” episode, in which Homer plays an entrepreneurial snowplow driver.